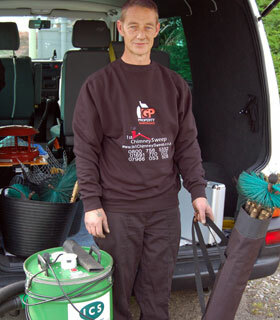 1st Chimney Sweep is a fully-qualified professional chimney sweeping business run by me, Graham Pugh, from St Martins, Oswestry. As a Member of the Institute of Chimney Sweeps and issue a recognised certificate with every sweep. And I specialise in clean chimney sweeping that does not leave a mess in your house and leaves your chimney clean as a whistle. ...and everywhere between. Just phone or e-mail if you are not sure.